Cupid’s Bow is made from a bright pink material covered in lighter pink hearts. She has black button eyes and a larger black button nose. She wears a bright pink ribbon tied around her neck. Cupid’s bow was released on 7th January 2008. Her birthday is on 13th February 2007. 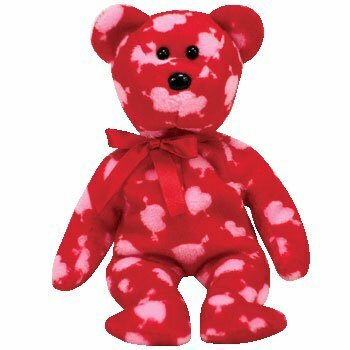 Cupid’s Bow is a Valentine’s themed Beanie Baby. She was exclusively available in Borders stores.